If you follow me on Facebook, you will recall me bragging mentioning that I was going to attend the 1st Annual Silicon Valley Fashion Week. Wow, what a fun night! 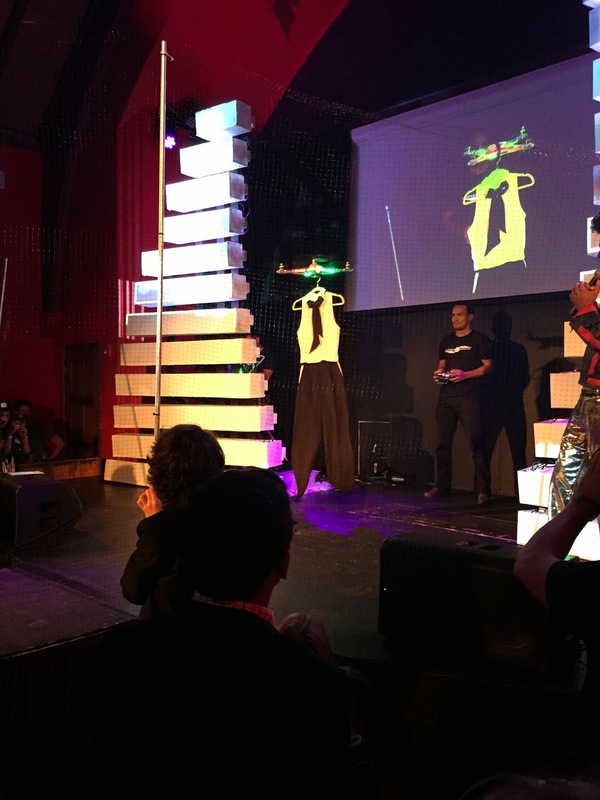 I attended the closing night which featured wearables from crowd funded designers to drones replacing supermodels on the catwalk. The Valley is unlike any other place in terms of technology and innovation, so the show was far from the norm. It was held at The Chapel, a venue for music and events.The Chapel occupies an historic 1914 building that was originally built as a mortuary and has now been renovated. Who can spot the supermodel drone? 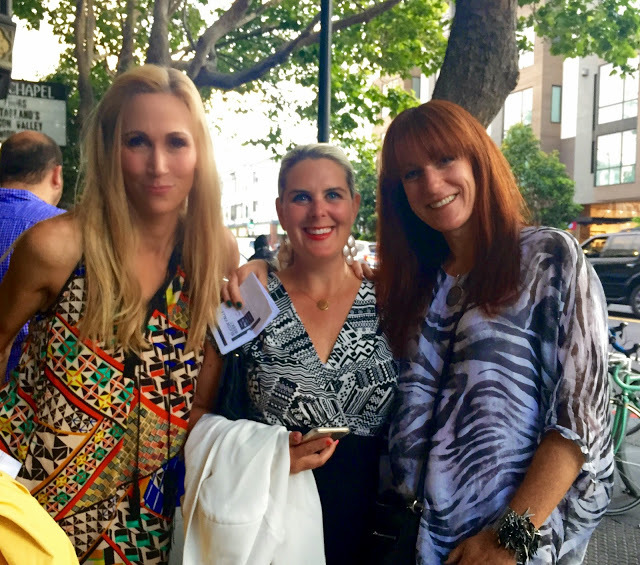 What does one wear to Silicon Valley Fashion week? Does this jumpsuit look familiar? Jumpsuit post here. My partners in fashionable crime for the night, Anna and Monica. 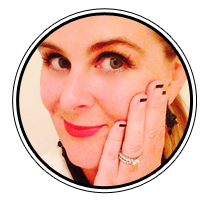 So on with the show……. Meet “The Suitsy”, the adult pajama one-piece. The Silicon Valley dress code for work is VERY casual. Coders have their typical uniform of a Google or Facebook hoodie and jeans, start ups geeks don a button down shirt and pants. 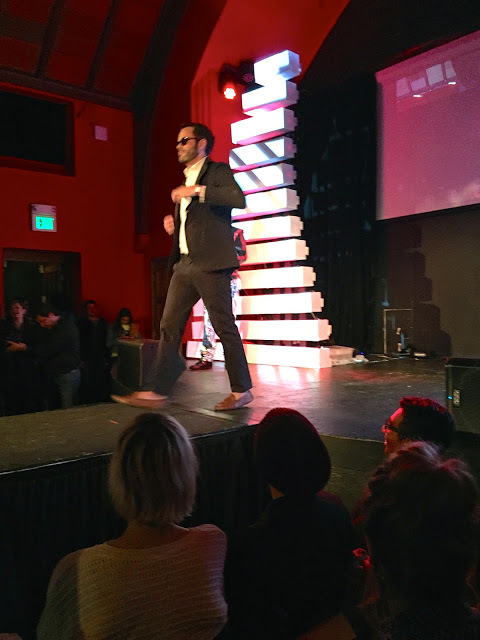 The Suitsy creator, Jesse Herzog and Silicon Valley-based retailer, Betabrand, have been turning the concept piece into a reality. For an interesting read on how one blogger wore this suit for an entire week (slept in it too) and didn’t get noticed to be wearing a onesie, read this interesting and fun article from Business Insider. Zackees founder Zach Vorhies dons a glowing jacket which is designed to give bicyclists more visibility when riding at night. There are ALOT of cyclists in the Bay Area. Check out https://zackees.com to see all light up attire to keep cyclists safe in the dark. 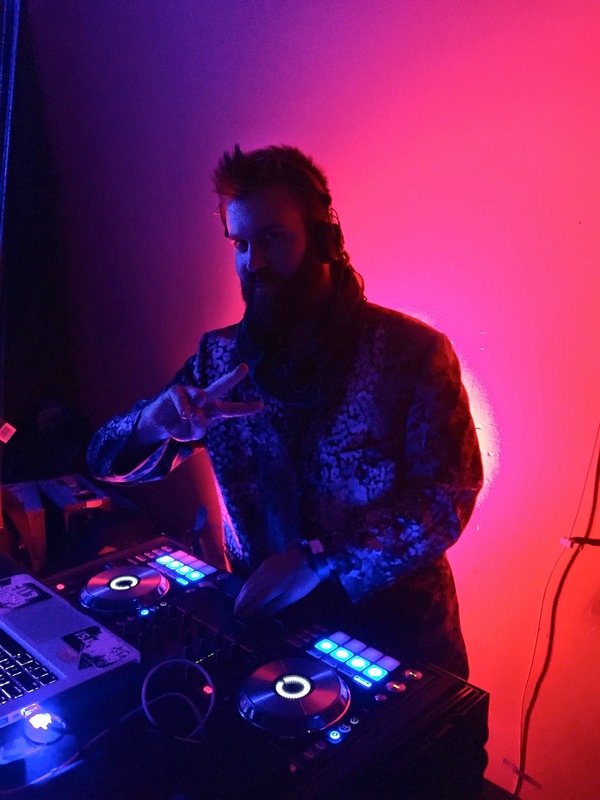 I especially like their great light flashing hand gloves, perfect for hand signaling (and I’m thinking the dance floor too). 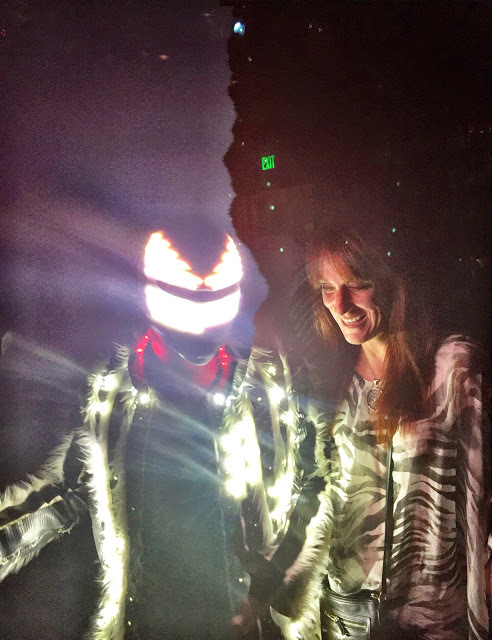 My favorite of the night was the Paparazzi Proof reflective clothing embedded with reflective glass from the Flashback Collection with BetaBrand. 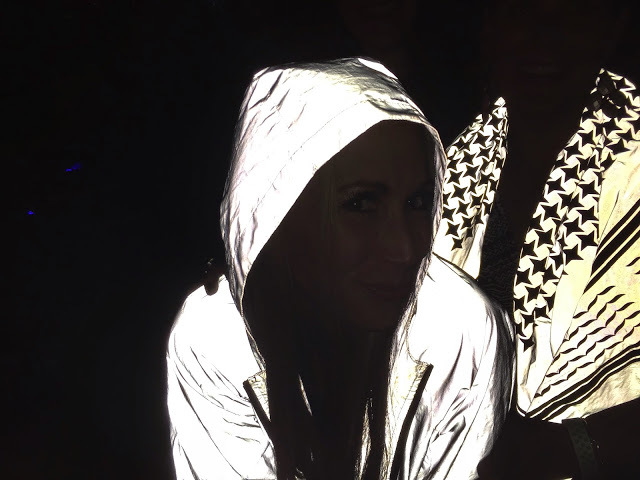 Check Anna out wearing this reflective glass jacket! They also do suits and a scarf (shown in back). Click to read this great article at WIRED to learn more about the Flashback collection. 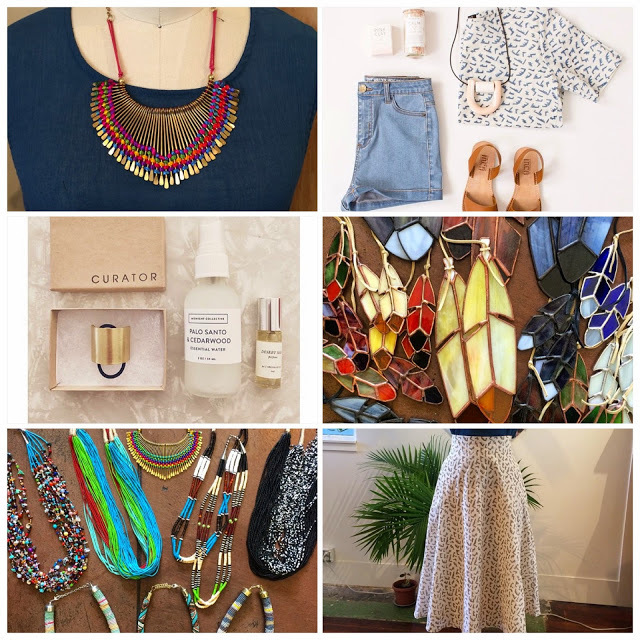 And while you are on Valencia Street, go check out the beautiful clothes and accessories at Curator at 1173 Valencia Street San Francisco. I love their things! (Look at the stained glass pendants middle right square – adorbs). Leave me a comment below, I love to read them. « YummoMummo – Swimsuit Edition Part #2! It was a fun event! Your outfit was stunning as usual! 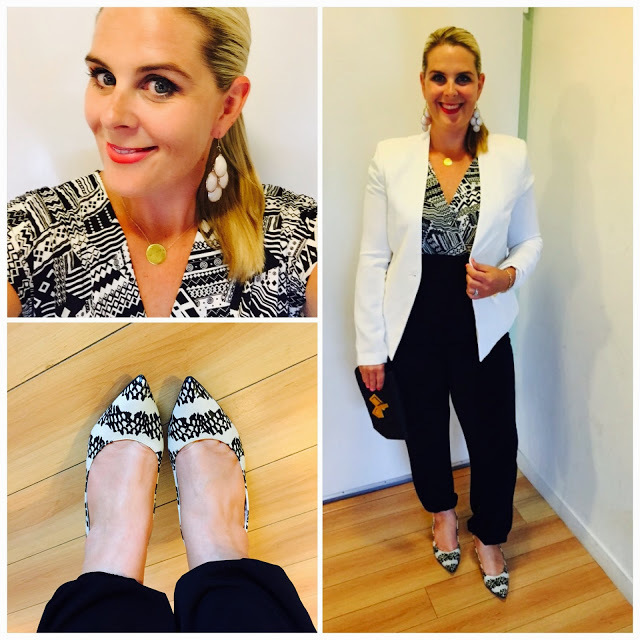 That is one cute jumpsuit! That looks so fun! I would love to attend events like this! I love your outfit and the shoes go so well with that! I feel like I say this all the time but you are super fashionable! Ahh, the drone thing is super cool! You & your two comrads looked stunning. Glad you had a great time!